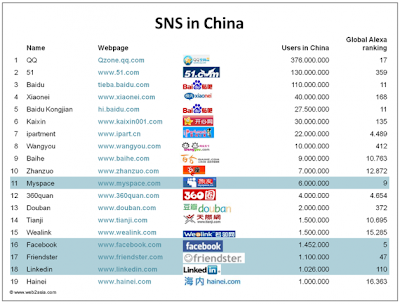 Social networks are taking off in China. George Godula. David Li, and Richard Yu explores how Chinese social networks are pursuing different business models than their American counterparts, relying more on micropayments and the sale of virtual goods. George Godula is the founder of Web2Asia, an East Asian incubator and also a consultancy for Western startups trying to enter markets in China, Japan and Korea. David Li is a developer of social networking applications such as Growing Gifts, and he also was the developer of OnChat, an early in-browser graphical avatar chat system. Richard Yu is a Seattle native living in China, where he consults for Shanghai-based web startups while writing his blog. You can read more about that analysis here on Techcrunch. Wow, seems that we have a lot in common. I'm a student in Shanghai, China. And I'm interested in web2.0 and information security. I just read your profile and found a lot of commons.